The MTA and elected officials are expected to break ground Monday morning on the No. 7 train expansion project that will extend the Flushing line from Times Square to the Javits Convention Center, transportation officials confirmed. The ground breaking will occur within the Times Square station. The city-funded $2.1-billion project includes the construction of a new station at 34th Street and 11th Avenue. The Metropolitan Transportation Authority board awarded a contract for the 1-½ mile tunnel and station in October. The contract also includes the option for the shell of a second station at 10th Avenue and 41st street, but the MTA is still seeking $450 million in funding for that work. MTA Board members have asked the agency to include the 10th Avenue station to accommodate residential development in Hells Kitchen. The MTA is set to finish the extension project by 2013. 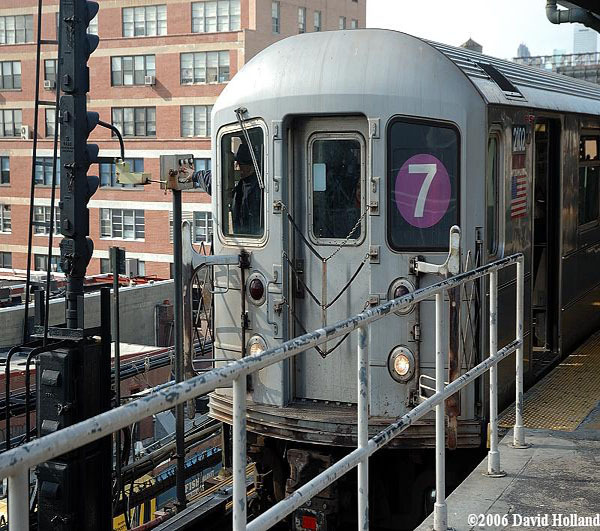 I have expressed my opinion on the 7 line expansion project in the past which can be read by clicking here. For more information on the project you can click here.